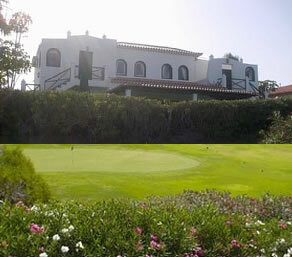 Set in the center of the fabulous PGA Golf Del Sur course, close to the shops. bars and restaurants. Fully furnished to a very high standard with relaxing garden sofas and sun bed to the beautifully styled Italian living room and dining room furnishings. The villa has always been the holiday home for those ultimate family occasions, anniversaries, weddings and birthday parties, what better then to celebrate in the Tenerife sun. 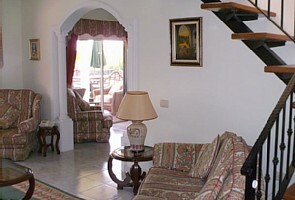 The villa is set on the Las Adelfas 2 complex with the bars, restaurants and shopping only seconds away. 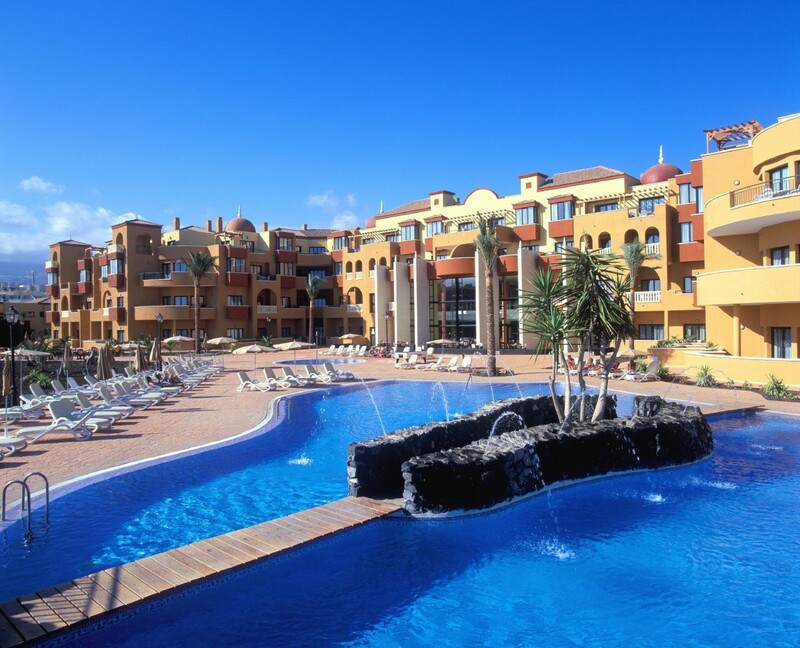 The villa enjoys the best views on Tenerife to the sea, golf course and mountains. With its own private heated pool this has to be a place for you if your group size is 10+ high luxury at a value price. 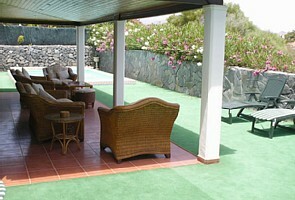 The area that this villa sits in is ideal for large family groups or for large golfing parties. The villa benifist from air conditioning in all the rooms Their is off road parking for two cars. Towels provided, safe, air-conditioning, linen provided. Childs highchair, dining table and chairs. Bedroom 1 is an extra large double water bed, ensuite. Outdoor heated pool - use of communal pool if required. Adult swimming pool, childrens swimming pool, poolside bar/restaurant, snack bar, supermarket. 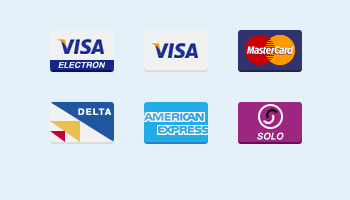 A welcome pack is provided free of charge.